In the heart of downtown Fort Worth, Texas is an oasis of beauty called Trinity Park. Nestled in the Cultural District, where art galleries, museums and inspirational antiquities abound. it is gently tucked away on 252 acres, in a quiet corner along the winding banks of the Trinity River. This was the perfect place to capture Mariah & Brent's Bohemian themed engagement session. 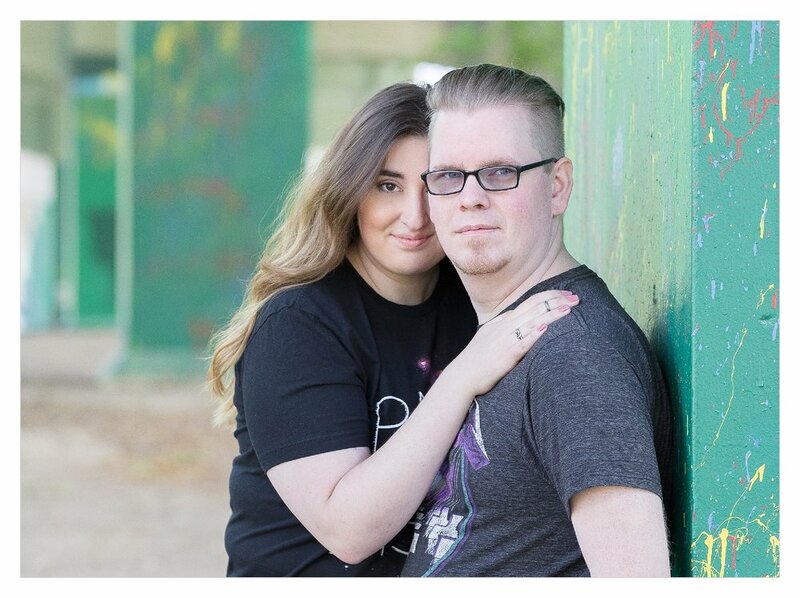 Every couple has their own sense of style and flair, so Mariah & Brent wanted to not only celebrate their Bohemian sides, but incorporate their fun and edgy sides as well, by changing into jeans and t'shirts. 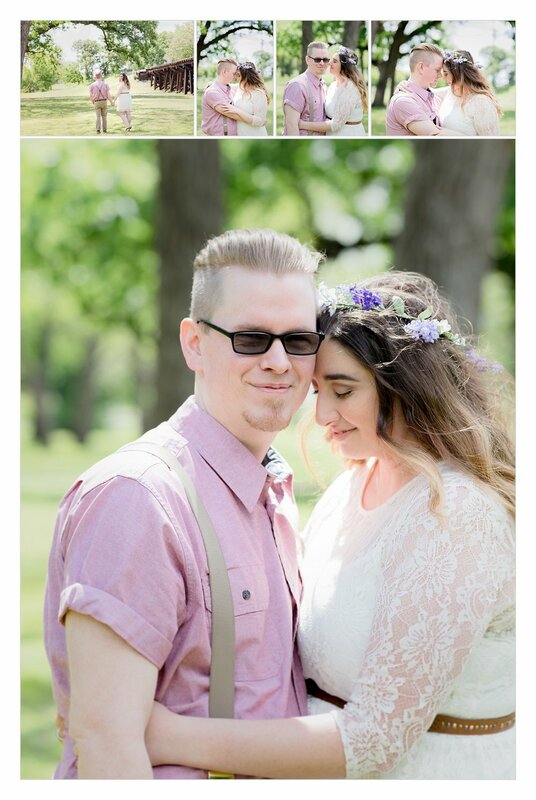 Trinity Park went right along with the theme, and embraced these two in a big way! 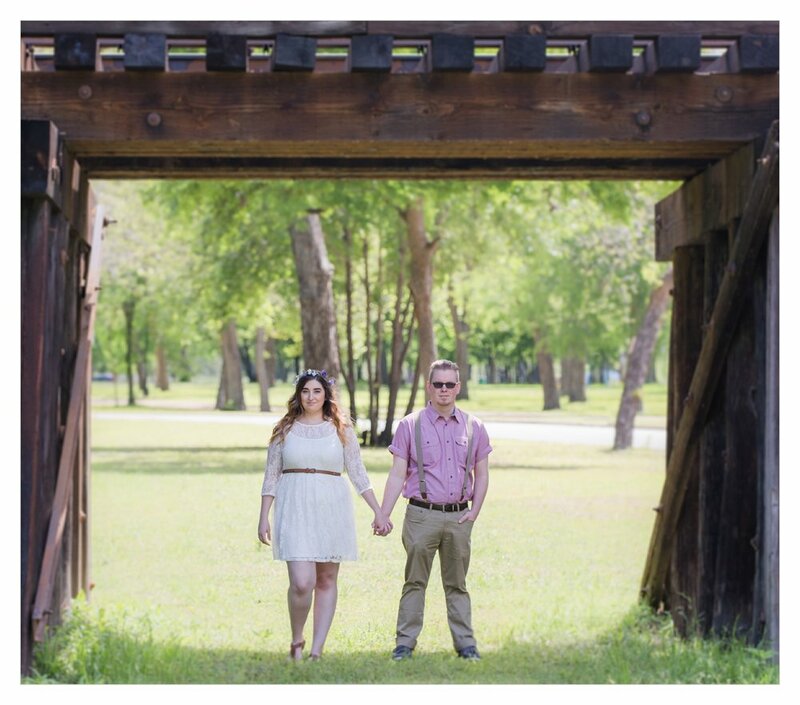 Under the iconic Trinity River Bridge was a mecca of painted archways that were ideal for this photo-session. So much fun capturing this wonderful couple! They are an absolute joy, and their relationship is truly an inspiration. I love how they truly made this session their own, and weren't afraid to be 100% themselves. Thank you for letting me share their engagement session with you. I simply cannot wait for their 2019 wedding on a 500 acre farm in North Texas. How about you?? You ready for your engagement session, because I am! Click on the button below to learn more about our weddings and engagement sessions. We travel all over the nation to capture true love. All images & content ©2018 Amore Lux Studios, LLC. Permission must be granted for use. Sign up with your email address to receive news and updates. We promise not to spam your inbox. We respect your privacy, so will not be sharing this with anyone else.